November is one of my favorite months. Not just because the leaves are in full display of jewel tone colors and the air has a clean crisp feel, but because we celebrate Thanksgiving and my husband’s birthday. Speaking of celebrations, November is a great month here at The Romance Dish because we kick off the month with our anniversary celebration extravaganza. In addition to our party, we have lots of reviews, guest authors, and fun things in store for the month. The Romance Dish is celebrating our 2nd anniversary in bloggerland. Wow, we can’t believe it has been 2 years!!! Our anniversary celebration extravaganza begins Monday, October 31, and runs through Friday, November 4. We have a lot planned for the week, including games, highlights, and a special guest. Then on Saturday, November 5, we will announce all of our winners … and there will be a lot of winners. We even have three special giveaways just for our international readers. So make sure you stop by every day for your chance to win! Are you looking for a ready to print shopping list of the new releases for November? Well, we have got you covered! On November 7, Andrea provides you with such a list in her New Releases blog. 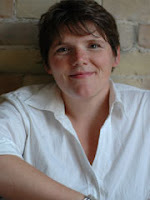 On Tuesday, November 8, guest reviewer Janga interviews Rita Award winning author Molly O’Keefe. 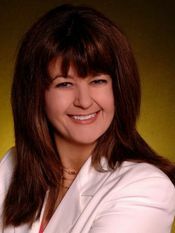 Trish Milburn/Trisha Mills shares the latest in YA news on Thursday, November 10. Anyone looking forward to the Breaking Dawn – Part 1 movie? Get a sneak peak of the December new releases on Friday, November 11, with Andrea’s Make Your Reservations blog. Even though the weather is getting colder here in the United States, The Romance Dish sizzles on Tuesday, November 15, when Buffie shares her latest Hot Dish. 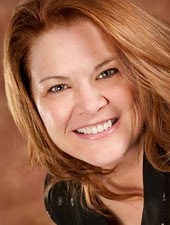 New York Times Bestselling author Lori Wilde guest blogs with us on Thursday, November 17. On Saturday, November 19, we share several reviews at one time with our Stock Up Saturday Reviews. On Monday, November 21, debut author Joan Swan stops by The Romance Dish on her Journey of a Debut Author blog tour. Joan is a triple RWA Golden Heart finalist as well as a double Daphne Du Maurier finalist and her debut FEVER releases February 28, 2012. Joan is bringing a special guest with her, and I think you will like who it is! Anna Campbell returns on Thursday, November 24, with her latest review. No matter what book Anna is reviewing, it is bound to be one to add to your TBR list. We hope to see you frequently during the month of November!! Wow, looks like a fun filled month. Hard to believe it'll be November in a couple of days. A fabulous line up for November, but then it always is. November looks like it's shaping up very nicely on the Romane Dish! I'm looking forward to joining in for all the fun! P.S. What do you mean about Buffie posting her last "Hot Dish?' Please don't say she won't be dishing here anymore! I love all of these wonderful authors. It's going to be a fun month! fsbuchler, no need to panic. Just a small typo there. The Hot Dish is not going anywhere. It should have read "latest". LOL! I'm glad to know you enjoy the post. Thanks, Marybelle! It should be another great month. Yowza! November is going to be one hopping month for The Dishes, way to go ladies, I can't wait! Jane said, Hard to believe it'll be November in a couple of days. I can't believe it either, Jane! Seems like just yesterday, I was getting ready to head to NYC for the RWA conference and now, here it is, four months later! Thanks, Marybelle! We try hard to make it so. fsbuchler said, P.S. What do you mean about Buffie posting her last "Hot Dish?' Please don't say she won't be dishing here anymore! Flora, I had a bit of a mini panic attack this morning when I read that too! Thankfully, it was just a late night typo (we've all been there, Buffie!) and is now corrected. Don't worry. Buffie isn't going anywhere! Connie said, I love all of these wonderful authors. It's going to be a fun month! Thanks! Hope you enjoy the celebration! What a wonderful month of guests. Sounds like a great month ahead and I will be here. November is sure to be another great month with the Dishes. I love the Coming Attractions posts! You all always have such a fun month played and this one is no exception. I see some familiar authors and others are new to me :) Here to a fantastic month! November is going to be another great month, I especially love debut authors, I get all their work from the beginning and don't have to search out a backlist. I also get to say "I knew them when..."
Yes, Dalila, it is going to be a great month! Early Congrats on the 2 year anniversary! Thanks, Maria!! Stop for the celebration this week. I love the Coming Attractions posts! Thanks, Na. If you are a planner like me, you like to see a calendar with the month's events. It is so hard to believe, Dianna. Sure does seem like yesterday. Don't know how long I've been following you, but i've enjoy your blog. Can't wait for the new releases in NOV!